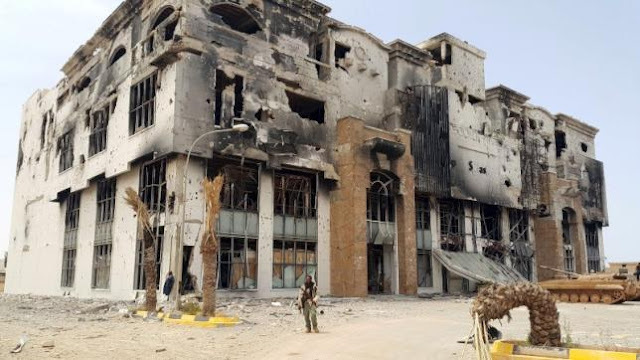 In the wake of the 2011 NATO destruction of the Libyan regime and political and economic structures, myriad Islamist groups now control towns and parts of what is left of Libya. One fledgling group based in Sirte (Surt) is recognised by ISIS as their official affiliate. Meanwhile two rival organisations vye for control of the rest of Libya. One - composed of former members of the Gaddafi regime - is recognised as the "official" government of Libya. It operates from the city of Tobruk, has little power or authority, and has no effective control. The second, a non-recognised group, operates from Libya's capital city Tripoli. ISIS of Libya has grown, however, and dominates the important central coastal city of Sirte (Surt) and the surrounding area. Sirte is smaller than most cities controlled by ISIS in Syria or Iraq, but its central location and proximity to lucrative parts of Libya’s oil industry has the potential to make it a source of income for ISIS, the funding of arms supplies and training camps, and operations similar to the recent multi-point attacks on Paris. With advisers in the country from Syria, Libya’s ISIS has sought to govern the city directly, taxing the residents and imposing their harsh version of Sharia law.